How to Use Apple iPad as Touch Pad for Windows / Mac Laptop? Many a times when we are in a presentation, and trying to show off the stuff to a group of people, we would prefer not to stand beside the laptop to keep making the changes and shift between the pages and documents. Wireless remote controls are available but they don’t serve the purpose of shifting between the stuff and typing something when needed. iPad is one such classic device which could come handy in being used as a touch pad and taking the advantage of the Wi-Fi connection, it can use control your laptop at a distance far away from where you are standing. 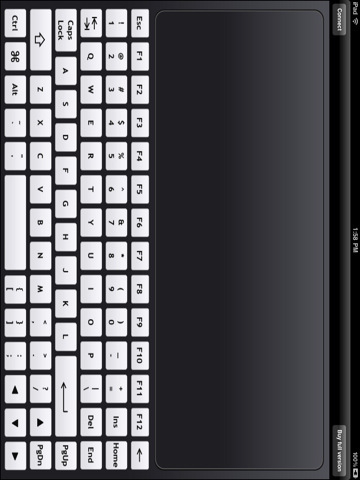 This can be possible using the WiFi Touchpad HD Free app for the iPad. The features above are for the free version of the WiFi Touchpad HD Free app, and the full version is paid which has a lot more features, including multi-language text input support, pinch to zoom, supporting Chinese handwriting detection to turn the iPad into a writing pad, compose text on the iPad before sending it to the computer at once. Still, the free version too is pretty good enough for those who want to do the most basic stuff from their iPad connected to the laptop via Wi-Fi. To run the application, you need to install it on your iPad from the Apple App store, and then download an iReceiver software for your computer/laptop for either Windows or Mac OS X from here. Once you download the receiver software, you can install it and run it on the computer. Here you get an IP address, which you need to enter in the iPad application, so that the remote connection occurs between the iPad and the computer. 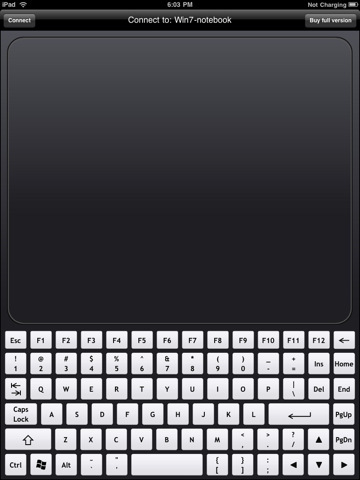 Once the connection occurs, you would see the TouchPad app with a keyboard just like the one on your laptop / computer, and a large trackpad to work as the mouse. 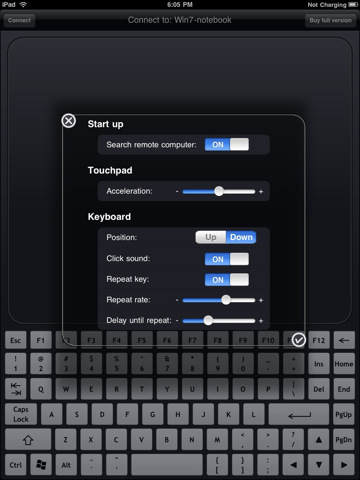 You can make a few settings like changing the position of the keyboard, trackpad and also whether to automatically search for the remote IP address of the computer when the app is opened. You can check out the app and install it from here. The WiFi Touchpad HD Free app supports any PC or laptop running WinXP/Vista/Win7 or Mac OSX 10.5 Intel and above. Check out the video of functioning of the WiFi touchpad app which helps using the iPad as a touchpad for Windows or Mac PC or laptop.